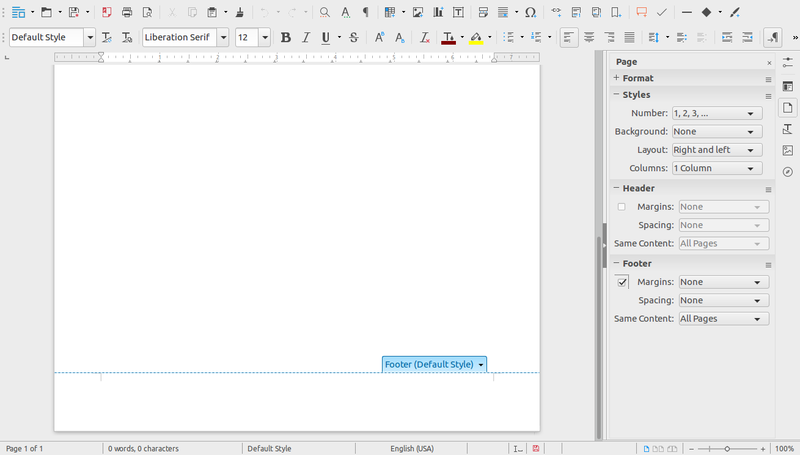 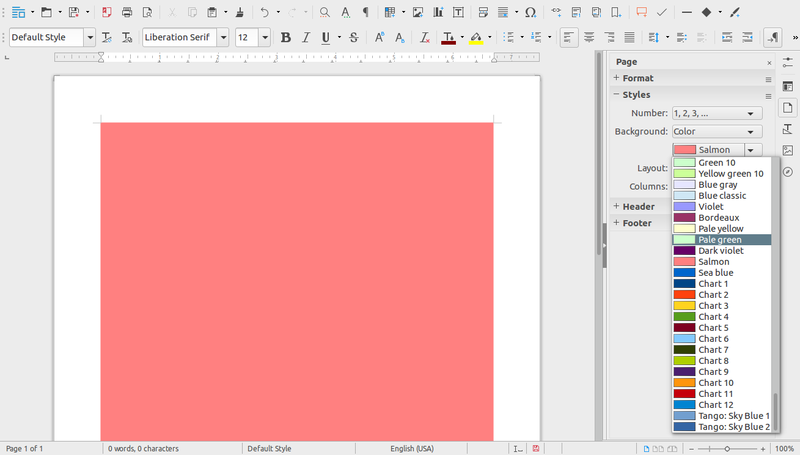 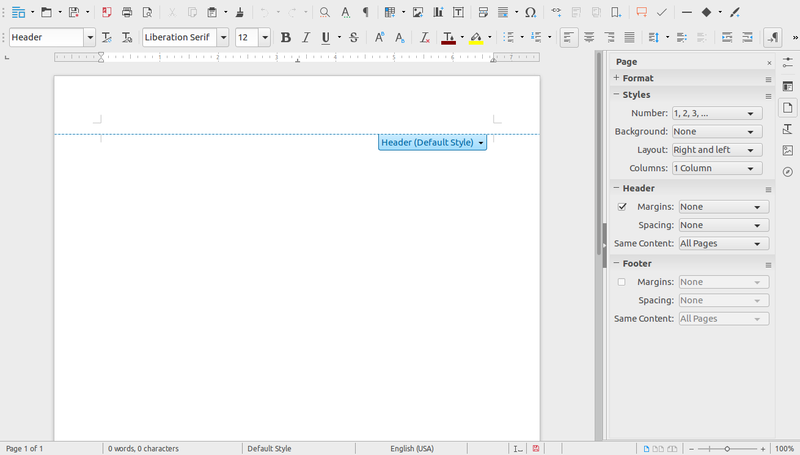 One of the major improvements, in the upcoming LibreOffice 5.3 (scheduled to release on January 30, 2017), is the Page Deck for Writer. 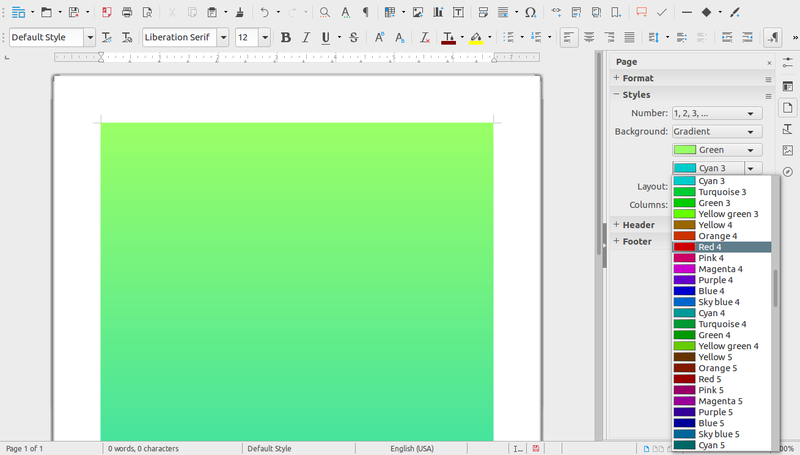 The deck hosts four panels - Page Format Panel, Page Style Panel, Page Header Panel, and the Page Footer Panel - to bring you the most commonly used page properties. 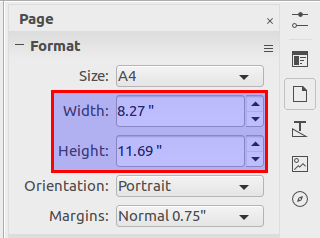 This post aims to describe all the aforementioned panels and the features they provide. 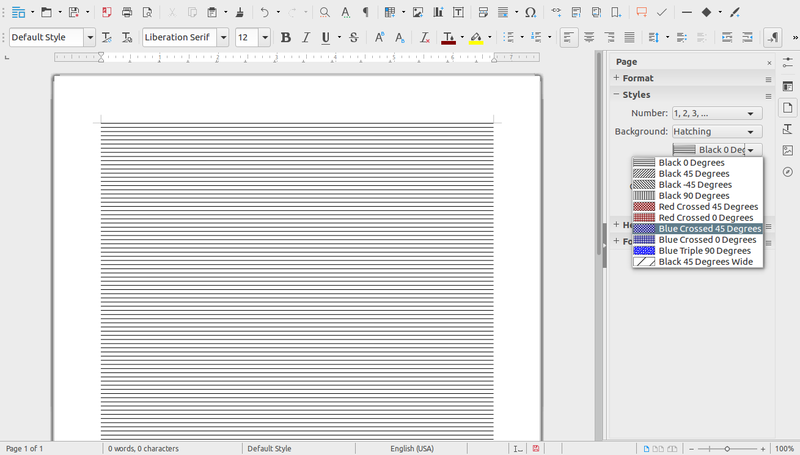 The entire enhancement report can be found here. 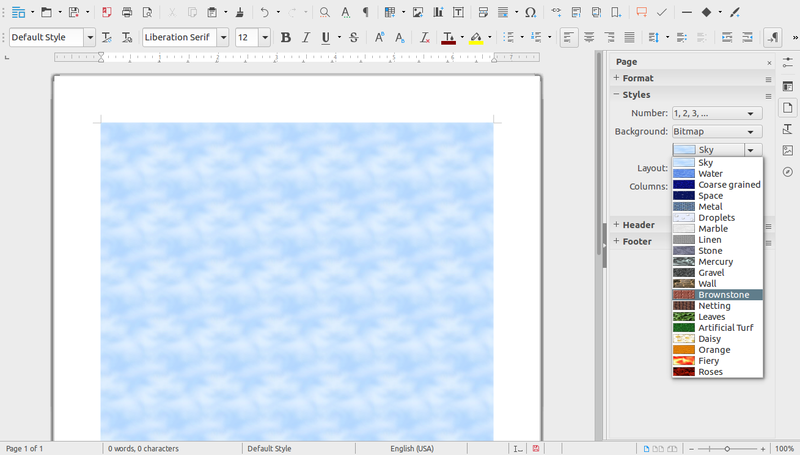 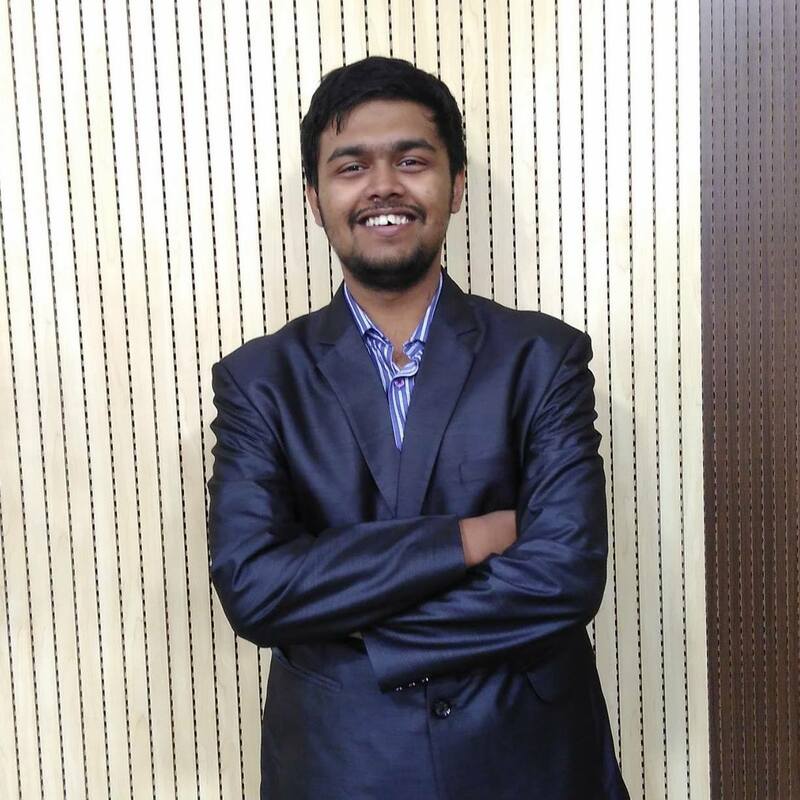 I myself have been working on this, with the help of my mentors - bubli (Katarina Behrens), and jay (Yousuf Philips). 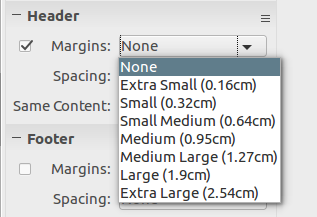 Size dropdown to easily select standard page sizes. 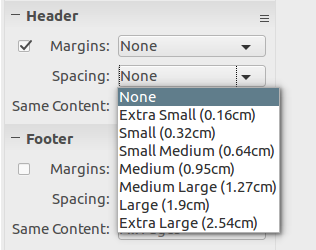 Width and Height spinboxes to customize page size. 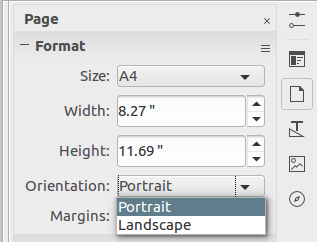 Orientation listbox to choose between Portrait and Landscape mode. 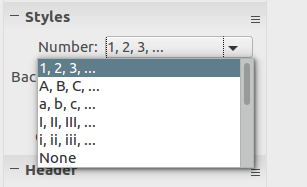 Numbering dropdown to select numbering format of the pages. 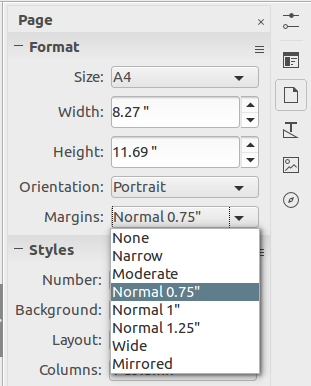 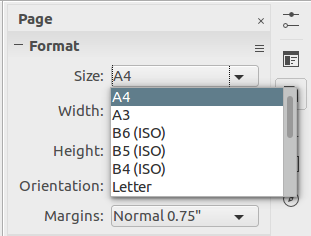 Corresponds to the 'format' option under Layout settings in Page Format Dialog. 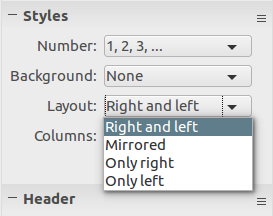 Layout Setting to select Page Layout - Right and Left, Mirrored, Only Left, and Only Right. 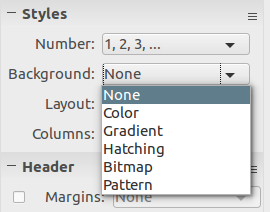 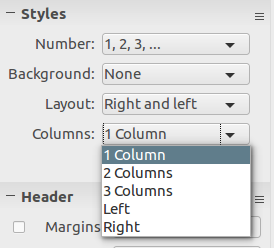 Columns setting to select frequently used page column layouts. 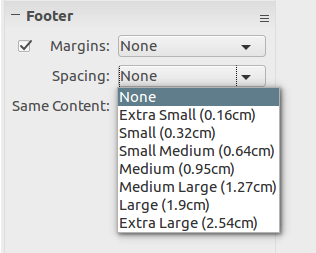 Checkbox to enable header (or footer). 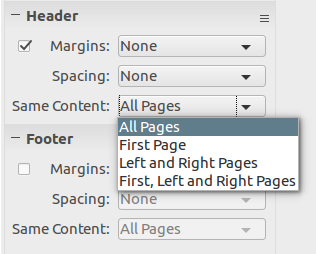 Margins setting to set the left and right margins of the header (or footer). 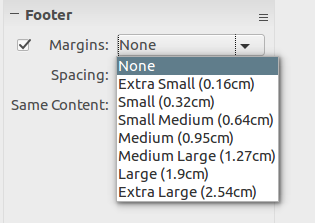 Dropdown to change the spacing of the header (or footer) from the top (or bottom) of editable area of the document. 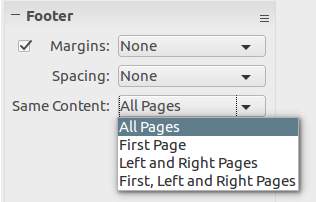 Left and Right Page - Sets separate headers or footers for Left and Right sided pages.